At this stage in our lives we are slow travelers and we no longer try to pack several towns into one day. 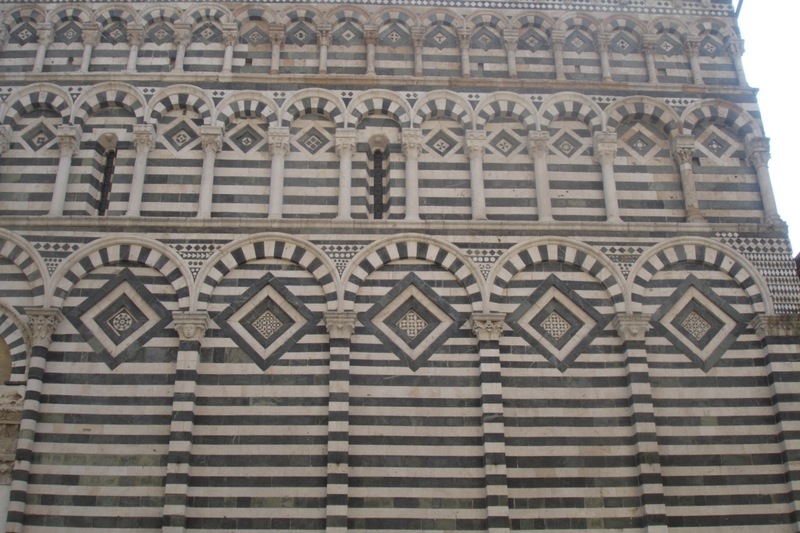 We gave Siena and Lucca one day each and I could happily have spent a week in each. The problem of course with using Fiesole as a base and making day trips to hill towns is that we don’t see the towns at night. I recall that the medieval streets of Siena were truly magical at night. 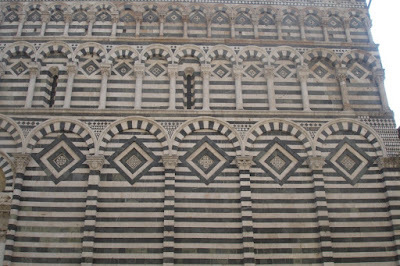 This was our third trip to Siena –the first in the heat of summer, the second in the chill of winter. Finally we saw Sienna on a gorgeous sunny October day. The austere, brick buildings of Siena’s medieval old town really need the warmth of sunlight. 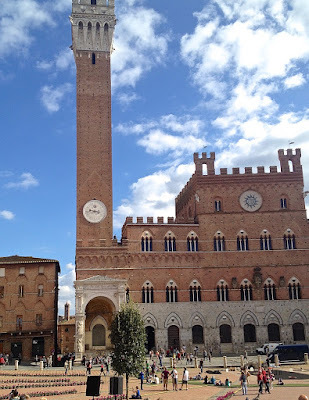 When Florence defeated Siena in 1300’s, it prohibited any further building, so that old town Siena was frozen in time as a medieval city--an open air architectural museum. The Piazza del Campo where the famous horse races are held was every bit as impressive as I remember as was the enormous cathedral which my little son on our first rip to Italy called the cathedral with zebra stripes. 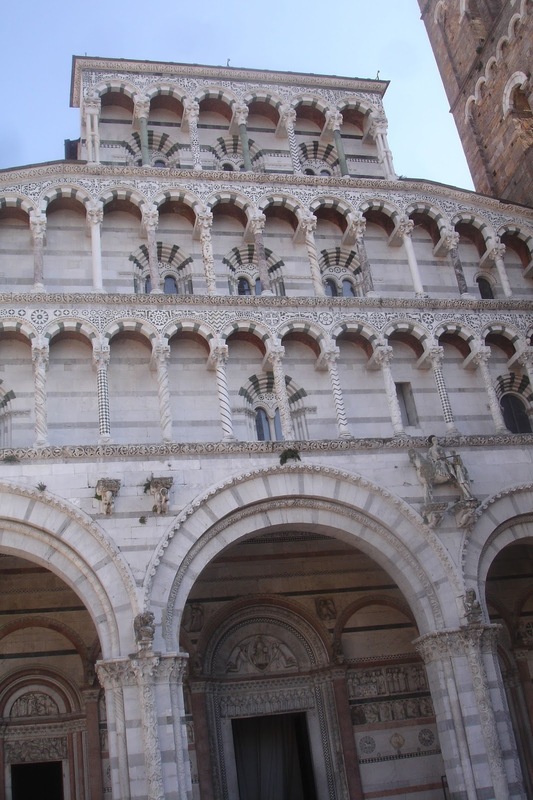 Whereas Siena is impressive, Lucca is welcoming--with its narrow streets opening up to gorgeous piazzas crowned by churches in what is known as the Pisan style, characterized by slender columns in white, pink, and green marble. This was our second trip to Lucca and and sadly we have yet to see Lucca at night--and probably never will.